I have many unique pieces incorporated into my home décor that I have found during my travels, as many do. And, like yours, each has a good story attached. Whether wandering (and getting lost) through the winding streets of Venice or searching the markets in Bangkok, many of my finds are hand painted, hand sewn or whittled by the very person I purchased it from. Each built to last, made with natural and quality materials. This idea of hand craftsmanship was the inspiration for Monogram’s recent collaboration with Architectural Digest. We started by hosting a conversation about the design processes through art and design. We invited Timothy Whealon, a well-known interior designer; Oswaldo Echevarria, an artisan who understands home design; and our very own industrial designer, Chris Bissig, to a collaborative discussion in our New York Monogram Design Center. Watch the discussion. What we learned is that the idea of craftsmanship is not just a trend for us at Monogram, it’s built into the fabric of our design process. 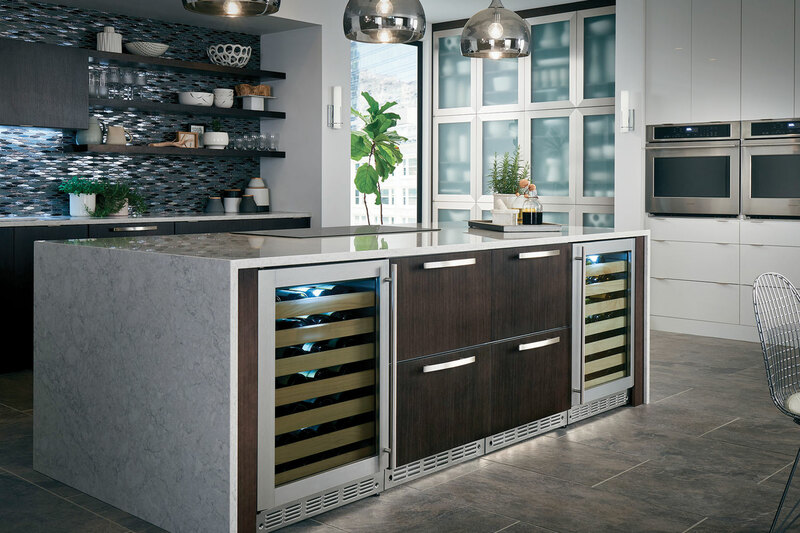 For example, the design of the new Monogram French Door refrigerator removed all plastic from the interior and replaced it with sturdy and natural materials like glass and steel. Each piece is hand built, and each of our builders goes through an extensive and detailed apprenticeship program. It takes over eight hours to produce a Monogram ventilation hood through the manual process of cutting, hand polishing and buffing, welding, brushing and assembling in Cerreto D’esi, Italy. 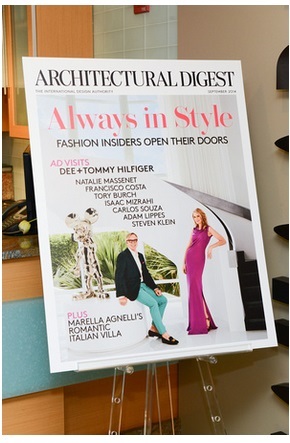 In celebration of our partnership with Architectural Digest, we hosted nearly a hundred designers at the Monogram Design Center in New York in early September. 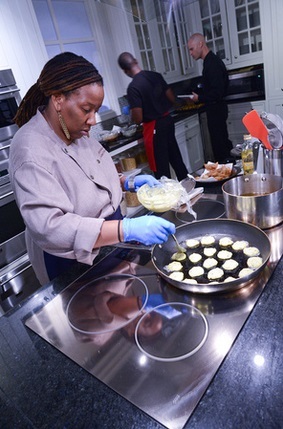 GE Monogram’s Executive Chef, Tagere Southwell, preparing delicious treats on the GE Monogram induction cooktop for the Architectural Digest party hosted at the GE Monogram Design Center in New York City.